Hello, my name is Immy and I am researching the use of art in natural history illustration during my placement at the Great North Museum: Hancock Library. The Natural History Society of Northumbria (NHSN) has a wonderful collection of books about the natural world that is located in the library. Many of these have beautiful illustrations with examples dating back to the 16th century. I have always been passionate about art and therefore was excited to start my project by gaining information on the history of illustrations, dating back to cave drawings from over 30,000 years ago to the many different methods used to produce illustrations in the most recent centuries, and how these changed over time. I found lithography particularly fascinating, due to the simplicity of the method, yet how much of an impact it had on the publishing of natural history books during that era. Subsequently, I looked into the process more closely. I learned that lithography is a method of printing, based on the repulsion of oil and water – they do not mix. It was discovered by a German author and actor in 1796, named Alois Senefelder, who originally invented it as a cheap method of publishing theatrical material. However, it also resulted in the development of zoological art being greatly advanced during this period, although not immediately, with the first book about animals to use lithography by Karl Schmidt being published in 1818 (Beschreibung der Vogel). It could be said that the application of lithography to animal illustration was one of the most important aspects of nineteenth century zoological literature. Previously, an illustrator made a drawing and then handed it over to an expertly trained engraver, who would translate the original drawing into an engraving. The artist therefore had little to no control over what happened to his work after it left his hands. However, lithography meant that the artist could be his own lithographer. The artists now had the freedom to draw directly onto the stone making animal illustrations seem more vital, individual, and detailed than before, raising the importance of the quality of illustrations in zoological publications. At this time, lithography involved an image being drawn onto a thick slab of limestone using a greasy crayon, which may have been pigmented to make the drawing visible. The stone was then treated with a mixture of weak acid and gum Arabic, creating a layer that would not accept the printing ink, but would retain water when the stone was dampened. This meant that when an oil-based ink was applied, it would only stick to the original drawing, so as the stone and a blank piece of paper was run through a press, the image was transferred, creating the print. In modern lithography, the image is made of a polymer coating applied to a flexible plastic or metal plate. I think that a great example of an artist using lithography to succeed in zoological illustrations is John Gould, who was an English ornithologist in the nineteenth century. He used the printing method to portray birds of the world for most of his life and was directly responsible for the publication of over three thousand hand-coloured lithographs of birds, most of which were shown in life size. Gould was described as ‘the greatest figure in bird illustration’ and he frequently worked with Charles Darwin to identify numerous bird specimens. It is of common opinion that his most impressive illustrations were in the “Birds of Great Britain”, of which he produced solely 750 copies, being described as ‘the most sumptuous and costly of British bird books’. The NHSN library has a version of this title in 25 volumes. Like all of the books in the library, this is available for anyone to view. Personally, I was impressed by the accuracy and liveliness of the illustrations, with the finer details being complemented by the bold use of colour. Gould later commissioned Edward Lear, who was another great lithographer, to produce images of birds for his publications. It has been argued that Lear was a better artist than Gould, which gives me reason to continue my research in the direction of Lear, and write my next post about him and his artwork, some of which I will also be able to see as part of the NHSN’s collection. Whilst on placement at Discovery Museum, aiding with contemporary collections, I was tasked with documenting the rather interesting La Bonche circus collection. Throughout the process, I discovered that the world of circus carries a legacy of unique skills, customs and values. In order to share some of what I’ve learned, I’d like to give a brief overview of the Family La Bonche and their motivations for donation. The Family La Bonche is a youth and community circus troupe which started at Circus Central based in Christ Church, Newcastle. In 2013, stemming from a curiosity concerning their circus history and heritage, they researched circus histories from the North East in collaboration with Tyne & Wear Archives & Museums (TWAM). 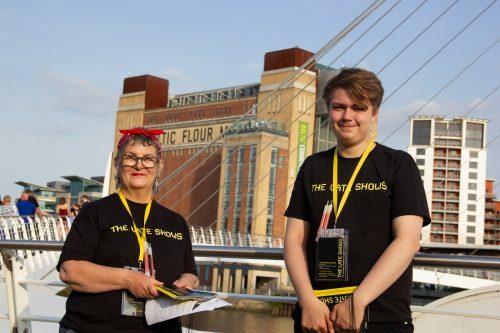 This initiative uncovered a strong regional circus history and a contemporary circus network within the local festival and arts circuit, culminating in a 2014 published book, Circus Histories from the North East of England: 1237 – 2013. Inspired by their findings, the troupe decided to donate circus related objects and ephemera to Discovery Museum – an act of contributing to the regional circus history which they had uncovered. As an introduction, I’ve chosen to look at their research and community, as these were the main motivators and sources for the La Bonche circus collection. The La Bonche collection originates with the research undertaken and published by the Family concerning regional circus histories. Delightfully, large portions of the book include early 20th century documents and printed ephemera from Arthur Fenwick’s scrapbooks, son to the founder of Fenwick’s department store. As a close collaborator and supporter of the local circus, Arthur’s personal papers on the subject add a valuable primary perspective to many of the historic photos, articles and posters amassed. The Family La Bonche themselves state in their book that ‘we are very fond of him and consider him as an important elder in our circus family…thanks to Arthur we know our local circus heritage much better.’ There is no doubt that Arthur’s efforts to preserve and document the local circus community influenced the creation of the La Bonche circus collection. Do show elephants in your posters with their trunks up. An elephants’ trunk pointed downwards symbolises mourning. If you mess up a trick, do it again or all your tricks will be messed up. As soon as you can walk on your hands you must go out to work. Overall the book provides memorable details without feeling too heavy. The posters and 20th century ephemera are fantastic and the performer profiles give insight to the fascinating individuals which chose circus as a way of life. Many of the objects in the collection are also featured within the context of their use and associations, a helpful resource for those interested in circus histories. All objects in the collection were gathered by the Family La Bonche and donated by their mentor, Helen Averley, aka Madame La Bonche. These objects have personal stories attached to them in relation to their former owners, and so to understand the collection, it is a good start to look into the community itself. Despite the Family being a newly-formed youth group, the contemporary regional circus community really took off in the late 1980s. Many of those who started circus groups and acts at this time went on to mentor younger performers in workshops, continuing the heritage of circus performance within the North East into today. Although Circus Central only became an established company in 2009, it follows in the footsteps of other clubs such as the Durham City Jugglers, and University Circus Skills Society, and Circus 2000. Previous groups had been quite informal in their advertising and constituency, ebbing and flowing according to membership demand and availability, whereas Circus Central is firmly established and active within the local community. Skills which are routinely taught within Circus Central include acrobatics, unicycling, and juggling, among others. This is reflected in the objects which have been donated, the majority being retired equipment and costumes passed down by mentors and elders; things which the younger generation wished to preserve in order represent their community. Gathered from aforementioned retired circus clubs and workshops, current organisations, and personal collections, these objects are not decorative in nature but heavily used with a handcrafted element to them, reflecting the active and self-sufficient attitude of the community. Something I wish to address in a subsequent post concerning the La Bonche collection are some of the skills required to use selected objects in the collection and how they relate to the circus community at large. 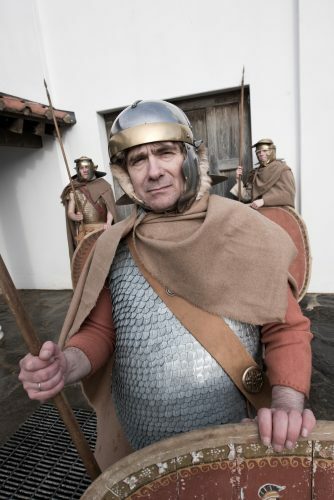 Keep an eye out – the post will be titled ‘Tools of the trade’. During the warmer months, the spotlight shone on the women working in agriculture, in place of the men that were now serving in the military. 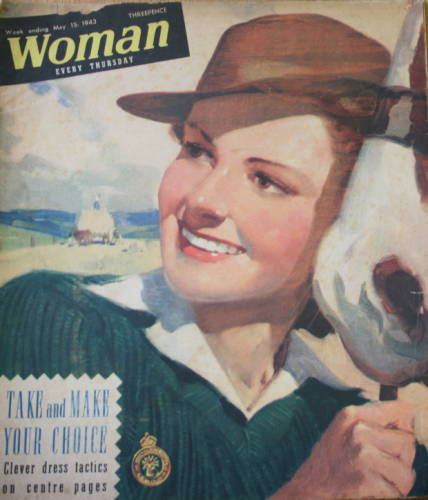 The Women’s Land Army was featured on the covers of Woman magazine with issues like the ones below, from May and August, which show full page illustrations of women, proudly wearing their ‘Land Girl’ uniforms, identifiable by their striking green jumpers over white shirts and golden badges. The badges upon closer inspection were enamelled brass with imagery of freshly harvested, golden corn in the centre of a green background. 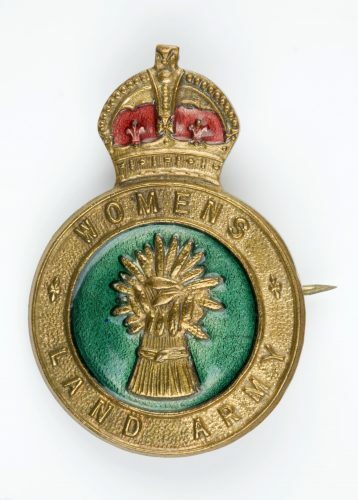 It was surrounded by a circular band that has Women’s Land Army engraved into it and topped with a golden crown; much like the one pictured below, from Tyne & Wear Archives & Museums’ collection. The Women’s Land Army was a British Civilian organisation that was set up originally during WWI. It was once again called upon and re-founded just before the outbreak of WWII so that the men, who had been working the land, could fight in the military. 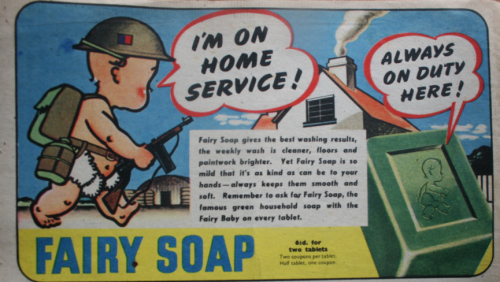 This was in fact the case with many crucial services that had once been male dominated; during WWI we see the emergence of many women’s service groups that were once again called upon during the outbreak of the Second World War. Other civilian organisations which were important during the war included the Women’s Auxiliary Air Force (WAAF) who became responsible for the assembly of weapons, as well as the building of aircraft and other vessels, such as ships over time as their roles became more varied. 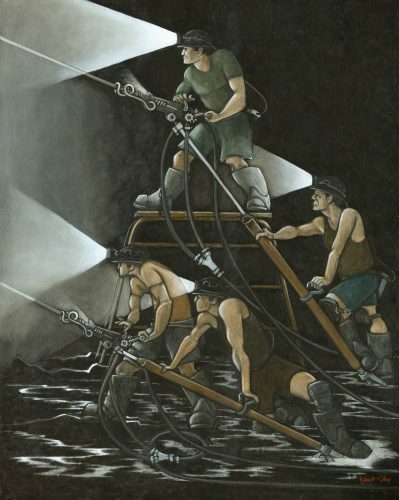 The National Fire Service (NFS) was another, well known civilian organisation that proved to be crucial during WWII. The NFS had both male and female members with women often having administrative duties such as staffing communication centres. 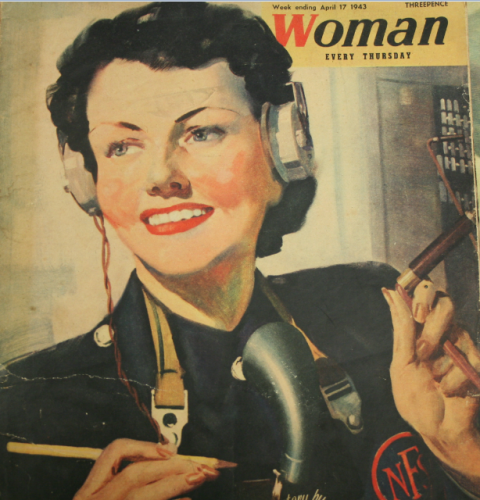 Their uniforms were dark blue with the NFS logo, as shown below on this cover illustration of Woman magazine from 17 April 1943. This service would often respond to the aftermath of Blitz attacks and was a dangerous job. 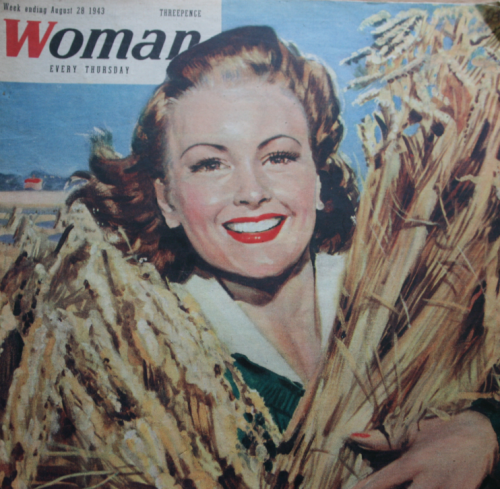 Women’s service groups were highlighted quite often in Woman, with regular articles from the Women’s War Service Bureau dealing with a variety of wartime topics. 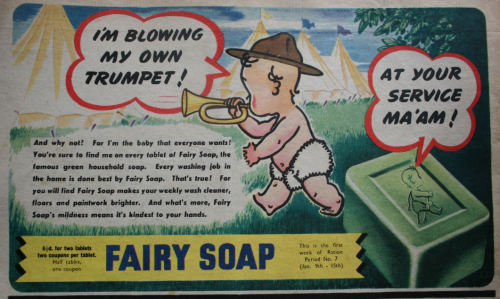 There was an interesting article about service women’s uniforms in an issue of the magazine dated 28 August 1943; this extract can be seen below. 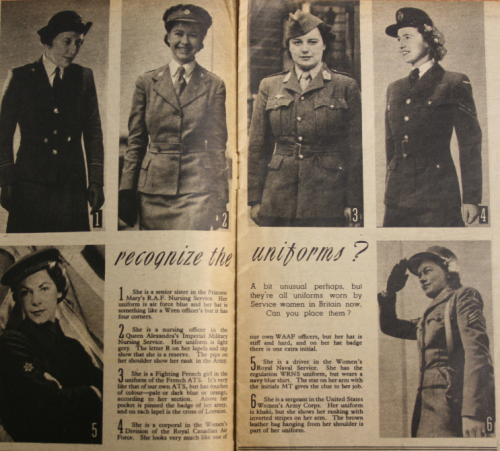 Images included in this article are of uniforms that were worn by Service Women in Britain during WWII. There are also some which were not British and the article discusses similarities and differences between the various group’s uniforms. It cannot be doubted that the women’s contribution to the war effort during the First and Second World Wars was great. 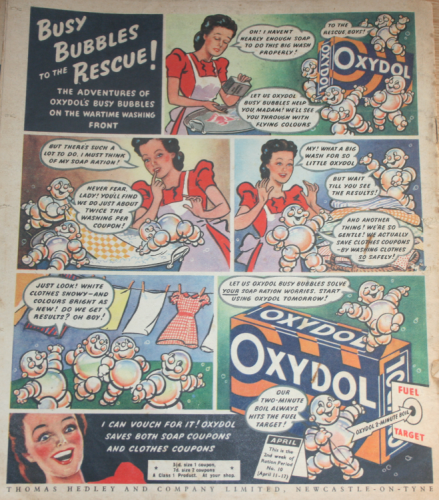 Many women took on roles that had previously been considered to be masculine jobs and played their part in keeping things going in a time of need. 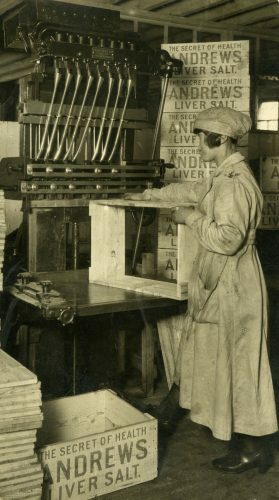 When the men were called away for military service, the women were called upon to fill their jobs and many took up work in factories, as well as on the land and in other services. Women began to feel, as a result of this, that they were capable of much more and it began to change people’s views on what women could do. As 2018 draws to a close we’ve taken a look back at our highlights in what has been an unforgettable year for our museums, galleries and archives. The Great North Museum: Hancock hosted Which Way North as part of the Great Exhibition of the North, featuring over 250 items including Damien Hirst’s Heaven, John Lennon’s Piano, Doctor Who’s Sonic Screwdriver, Whistlejacket, Helen Sharman’s space suit and many more. 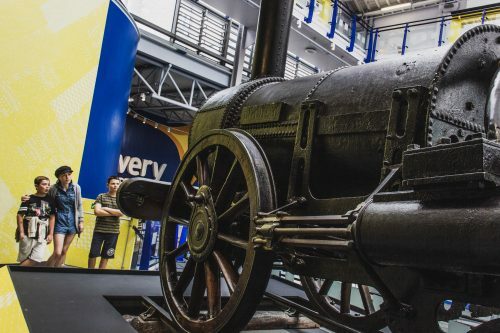 Discovery Museum welcomed Robert Stephenson’s historic locomotive Rocket back home. During its 80 day run over 176,000 people came to see the famous feat of engineering, back in Newcastle where it was first created. One of the cultural highlights of the year in NewcastleGateshead, The Late Shows is the North East’s biggest annual late-night culture crawl. 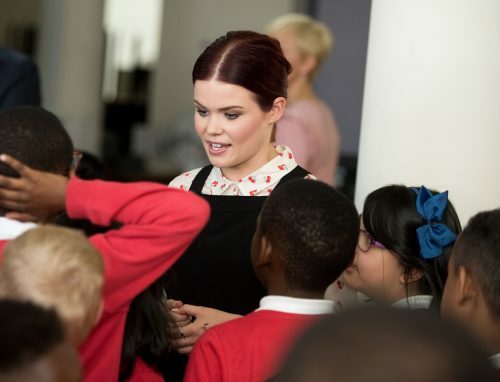 This year we had 67 venues hosting events, and over the two- day period there were over 30,000 visits across the venues. The Late Shows will be back again next year Friday 17-Saturday 18 May. Get it in your diary! This was Hatton Gallery’s first year since re-opening in October 2017 after a £3.8 million refurbishment. 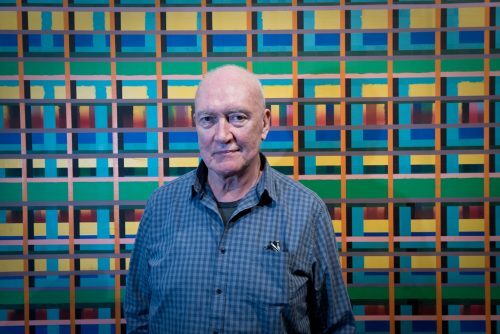 The Hatton achieved over 50,000 visits in its first year and highlights included the Sean Scully: The Seventies exhibition, which brought the Newcastle University graduate back to his roots. Recently Hatton Gallery won Gallery of the Year at this year’s Northern Soul Awards, topping off an excellent 2018 for the art gallery. 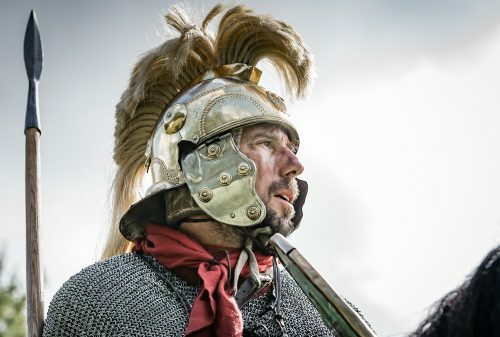 Segedunum Roman Fort displayed some impressive Roman helmet cheek-pieces from a private collection in its Saving Face exhibition and over 12,500 people flocked to see the annual fireworks display at the fort this November. South Shields Museum & Art Gallery had a tremendous response to its exhibition King Coal: the life & legacy of South Tyneside’s coal mining communities exhibition. 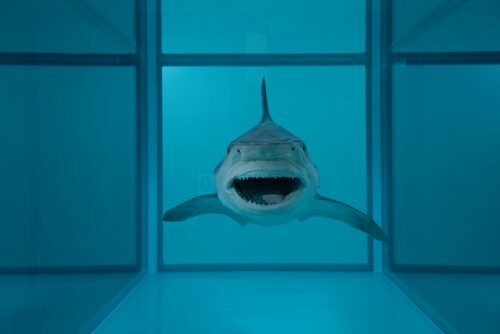 The exhibition featured over 20 paintings by renowned North East artist Bob Olley, who earlier this year announced he would be donating some of his paintings to South Shields Museum & Art Gallery’s collection for future generations to enjoy. 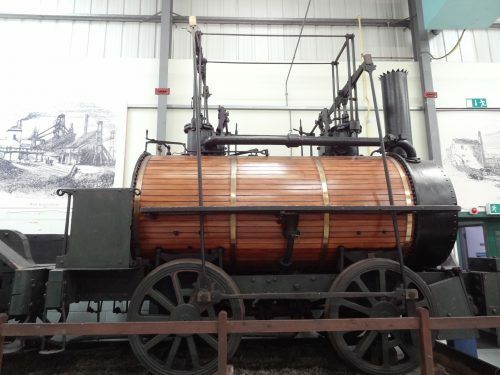 It was exciting to see the return of Rocket to Tyneside this summer; however, this year Stephenson Railway Museum celebrated the news that its star exhibit, Killingworth Billy, built by George Stephenson, is even older than Rocket! In fact, it was discovered that it was the third oldest surviving locomotive in the world. 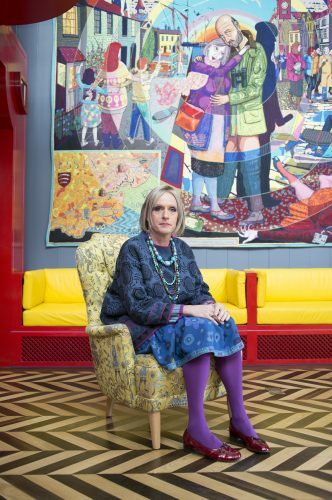 The Grayson Perry exhibition at Shipley Art Gallery was very popular this year. The exhibition featured tapestries telling the story of Julie Cope, a fictitious Essex ‘everywoman’, who was inspired by the people Perry grew up among. 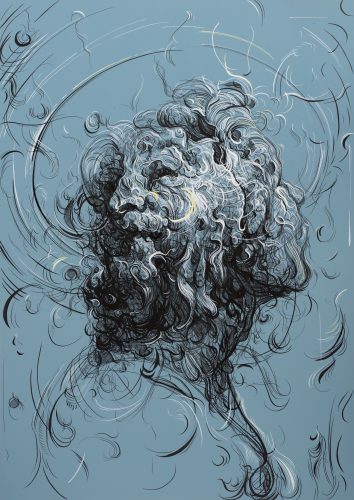 The Laing Art Gallery had a hugely successful summer with the Enchanted Garden and Glenn Brown exhibitions increasing footfall by over 50% in July and August and achieving critical acclaim in the national media. Tyne & Wear Archives invited BBC’s Blue Peter to its Search room and displayed their Millennium Time Capsule which was accidentally dug up by construction workers 33 years earlier than planned. 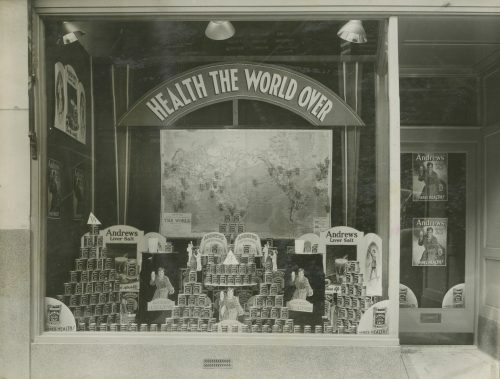 The capsule provided a snapshot of pre-2000s Britain including British coins, Teletubby dolls, a photograph of Diana, Princess of Wales, letters from viewers about life at the time, an insulin pen and asthma inhaler.